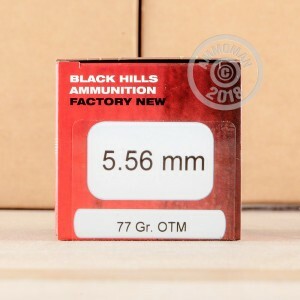 When you want a match to go your way, use Black Hills competition-grade ammo. 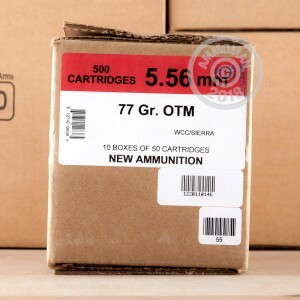 These 5.56 NATO cartridges are designed for accuracy above all else, delivering extreme precision even at extended ranges. 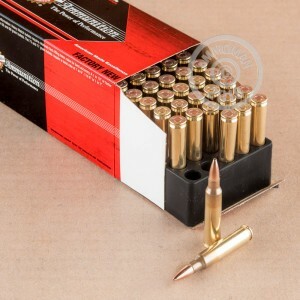 Each cartridge in this case of 500 fires a heavy 77 grain open tipped match bullet. This heavy projectile provides optimal stability and a more predictable point of aim. Black Hills ammunition is loaded in South Dakota using non-corrosive Boxer primers and reloadable brass cases. Grab this case or any other items totaling $99 or more to get free shipping from AmmoMan.com!